And all the while, Seth MacGregor is fighting to keep his clann safe from the malevolent queen Kate. When an attack comes after years of stalemate, he is shocked to discover who is leading it…and who else is conspiring against him. Will the cunning and experience of five hundred years be enough to defeat Kate? And how many friends, and how many lovers, is Seth willing to sacrifice to keep his son? 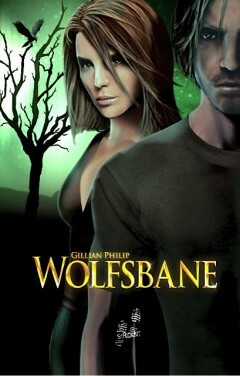 ‘Wolfsbane continues the main themes of betrayal and revenge in this series with absolute panache. … Best of all, and inbetween the political machinations and the violence, we get a wonderful love story of piercing sweetness and valour against all odds. I’m still mooning over it now, several days after I’d finished reading.